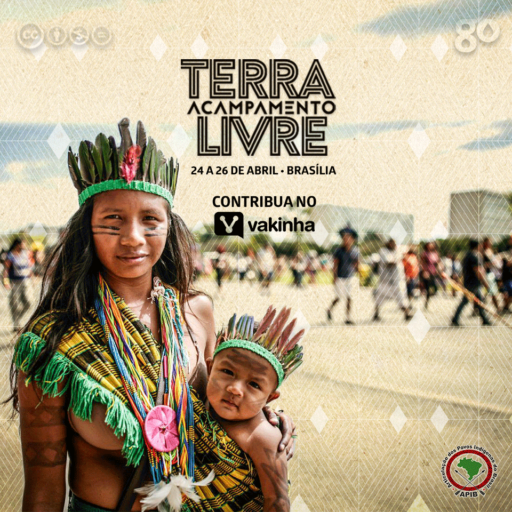 Indigenous leaders from all over the country will gather in Brasília from April 24 to 26 for the 15th edition of Terra Livre Camp (ATL). The event is the greatest mobilization of the Brazilian indigenous peoples in the search for the maintenance of their rights. The main demands this year are against the stripping of Funai, the halt in demarcation of land, the municipalization of the health system, the 1988 timeframe, the invasions of the territories and the violence against the leaderships. The event is funded by the Articulation of the Indigenous Peoples of Brazil (Apib) and by collective financing on the internet. Groceries and airline miles can also be donated to indigenous people living in remote locations. We need your help for the Brazilian natives!